The challenge of being in the marketing and branding business is many people assume a brand is their logo, a set of colors, possibly some fonts … all chosen to create a visual identity, a visual brand. Your brand is visual and verbal, your visual system (more than the logo), and the verbal brand, your brand messaging. It’s a sum of experiences, of interactions people have with you and expressions of you, from website to advertising to customer service. 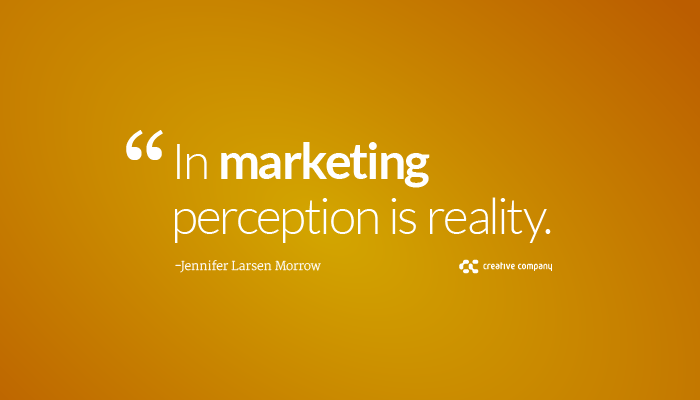 A brand is a consistent set of expectations, what your audiences expect you to be/do, whether true or not. Because perception is reality. A brand must hold a position in the minds of your audiences, stand for an idea, be known for one thing. A brand means someone chooses you over another option because they know what to expect. You may not have the better logo or the cheapest price or the best quality. But you’re known. And when you’re known for something specific, you’re trusted. I love the phrase, “it’s the shadow of a brand.” Many small business owners I talk with still think their logo is their brand. When they want to rebrand, all they’re talking about is getting a new logo and slapping it on everything. Doesn’t work that way. Sorry not sorry. When you think of brands you know and appreciate, it’s often the little things which, when taken together, build up that experience, that perception. Free shipping. Fast delivery. An easy-to-use website or app. Friendly people to take your groceries out. Easy returns. In a 2018 article in Forbes magazine, Al Ries (author of The 22 Immutable Laws of Branding and other excellent marketing books) answers these questions about branding today. Q: What is a better way of considering today’s role, function, and nature of the brand? He goes on to discuss how companies go beyond what people know and love about them, or offer more than products they were known for. His example, Sony, once recognized as the best television available. They’re eclipsed in both sales and stock market value by Apple. Why? Ries: But over the years, Sony expanded its brand to include personal computers, smartphones and a host of other products. In other words, don’t extend a recognized name … which stands for something … to products you’re not known for. You challenge the expectations of your audiences. You can’t spread the love for one idea/one brand across a whole lot of options. People love you for what they expect from you and only you. Positioning is the foundation for a strong brand. Strong positioning can support brand extensions. Think about Sony, once known as the best for TVs. That was their positioning. It didn’t apply to all of those other products. The “halo” effect of Sony quality helped, but didn’t support sales for the wider line of products. Yet there’s another brand which stands the test of time. It’s simple and direct. The brand uses a powerful visual system and owns a distinctive, recognizable position in the market. 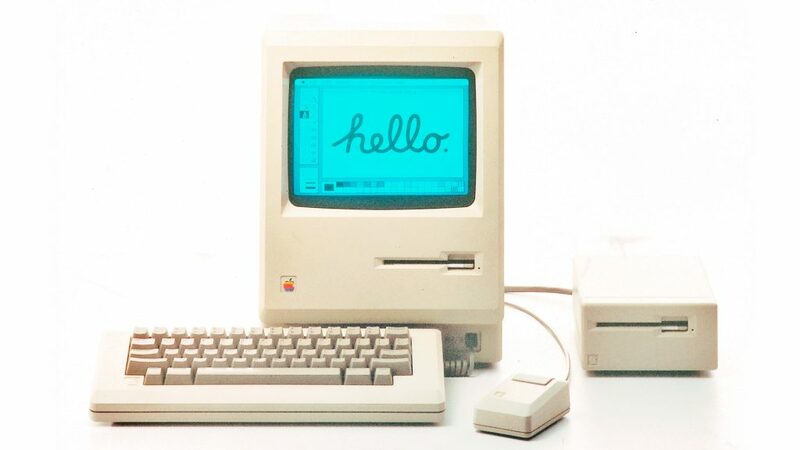 Although the brand includes more than the original Macintosh personal computer (remember that early box? ), they maintain their positioning as ultimate quality with an incredible user experience supported by outstanding design. So much has changed since that first little machine. Even their logo is sleek and shiny now, no longer the colorful rainbow. Yet the company continues to innovate and create new categories. First the personal desktop computer. Then the iPod. When the iPhone was introduced in 2007 it created a whole new category–smart phones. Apple is known as an innovator. They cultivate excitement for what they’ll announce next. They are constantly visualizing what’s possible, what we can’t see as possible until they introduce it. That’s a very powerful position to own in the mind of the consumer. What is your brand all about? What’s your position? When you’re clear, consistent and focused, you’ll uncover power in your brand. When you craft a visual and verbal brand people know, recognize and … most importantly … understand, you’ll grow your sales, your company and your bottom line. Download our positioning worksheet below. 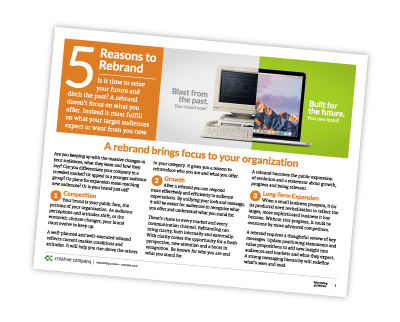 You may also find these blog posts useful as you explore “what is a brand?” further. Explore our website further for examples of brands we have refreshed or reinvented for a rebrand, each with a story and positioning to support recognition and give them power.